The almond cigar is a roll of our crispy and flaky dough filled with crushed raw almonds that are garnished with sugar to add a sweet element to the cigars. This unique finger-food is best served as dessert. Special events only! 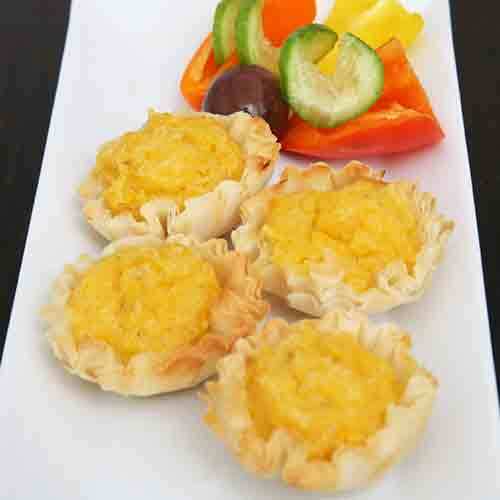 Our light, crispy, and flaky fillo shells are stuffed with freshly baked corn soufflé. These miniature delicacies are appetizing treats that will not disappoint. 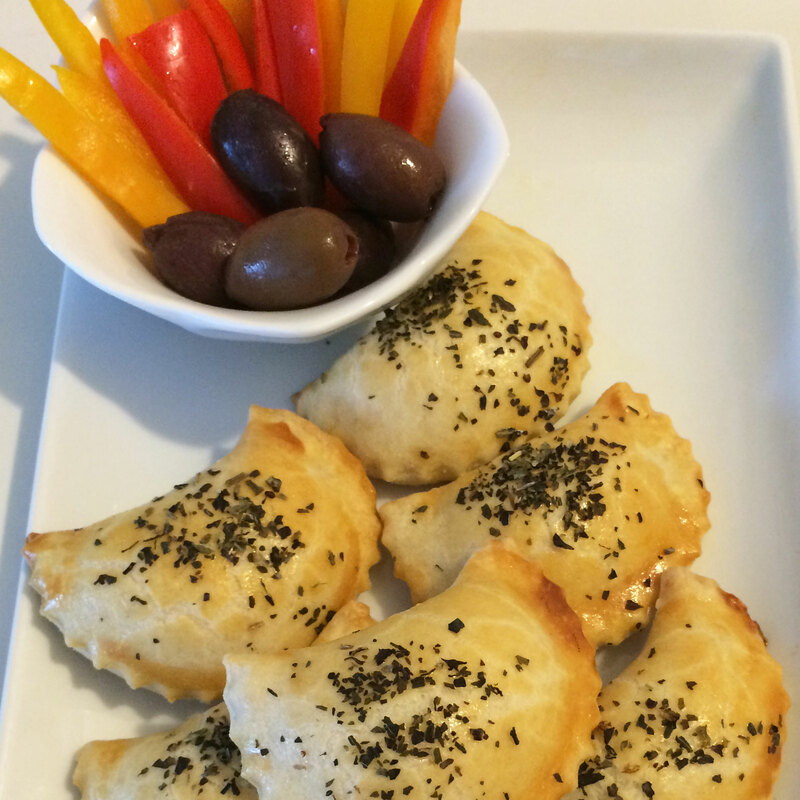 Chickpea Sambusak is our newest veggie-loving crowd pleaser. 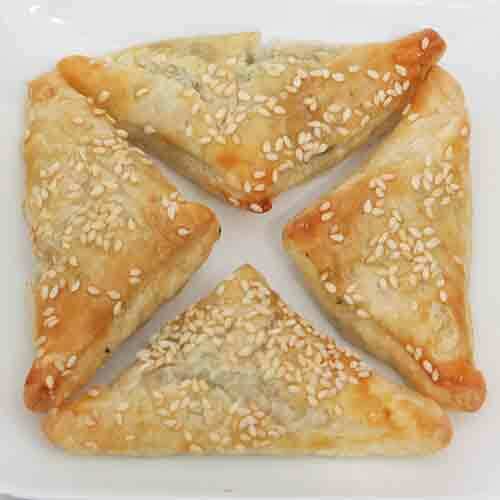 It is our savory pastry stuffed with an onion and chickpea mixture. Natural eggplants are peeled, diced and cooked so that can later be blended with a flavorful fusion of tomatoes and onions. 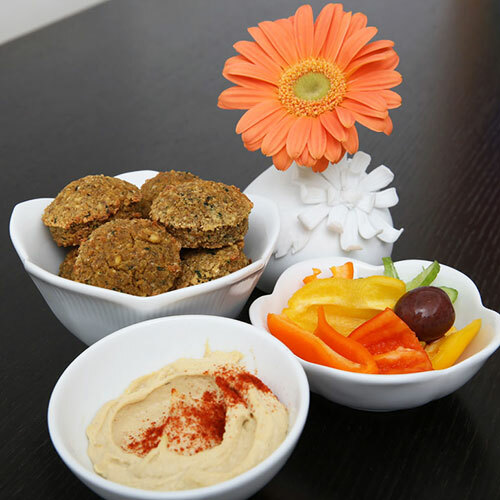 A falafel is a wholesome patty made from seasoned ground chickpeas, parsley and spices. 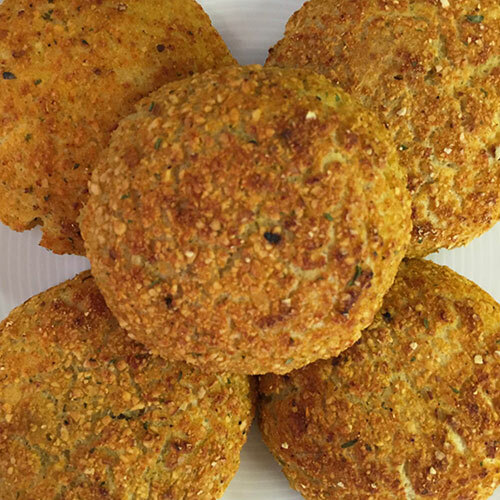 At Bourekas Etc., our falafels are vegan and baked. 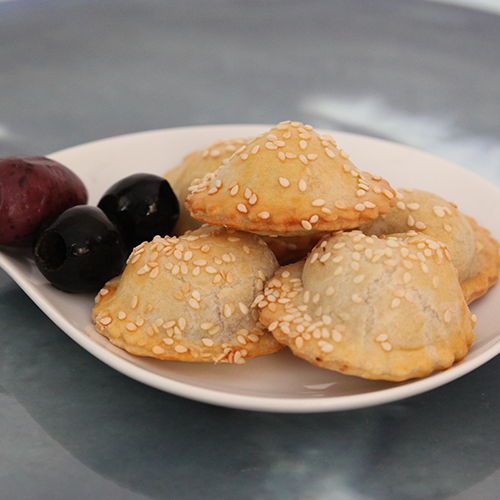 A flaky sesame-seed crusted pastry stuffed with kalamata olives that are rich in taste and texture. 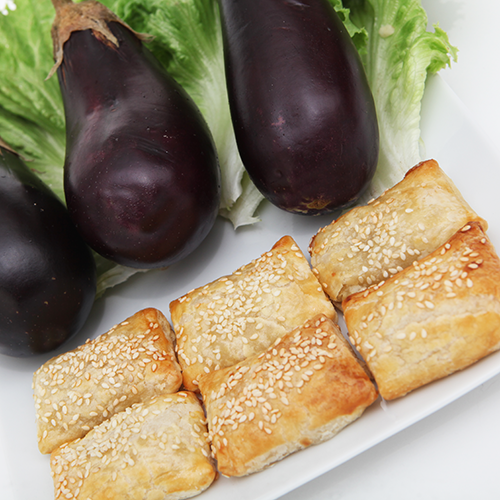 The savory blend of kalamata olives is the perfect stuffing that further enhances the appetizing typical samubsak. 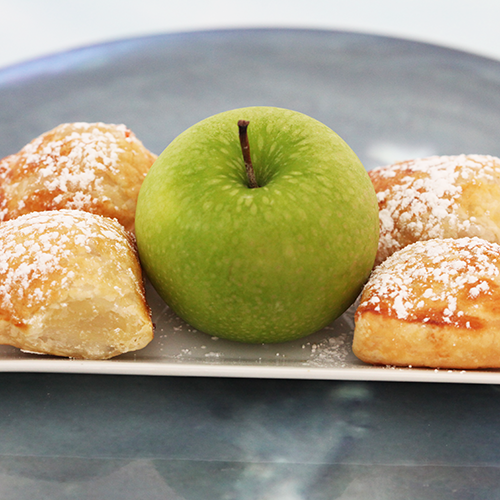 Sweet European pastry that is hand-made with a delicate dough, filled with sweet apples and nuts and spiced with cinnamon. 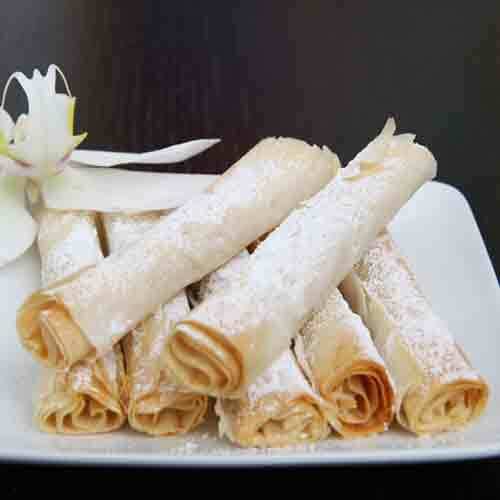 The strudel is an Austrian dish that can be paired with vanilla ice cream to make the perfect dessert. 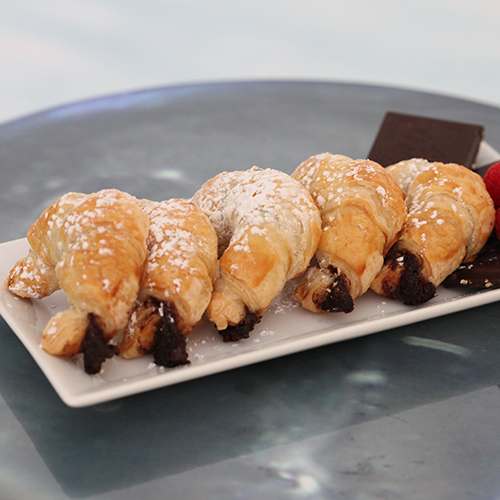 The mini chocolate croissant is a hand-made, bite size delicacy, that is the perfect parve dessert. This ever so flaky delicacy is a harmonizing duo of dark chocolate and pastry dough that will satisfy anyone’s sweet tooth! Hand made with precision. 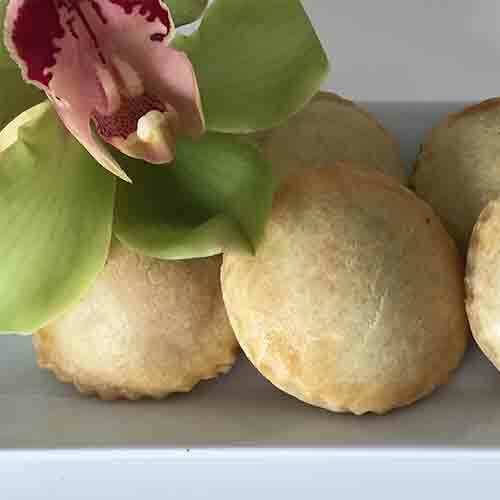 The mini croissants are a dairy-free bite size twist between the sweet guava conserve and our healthy and delicate dough. 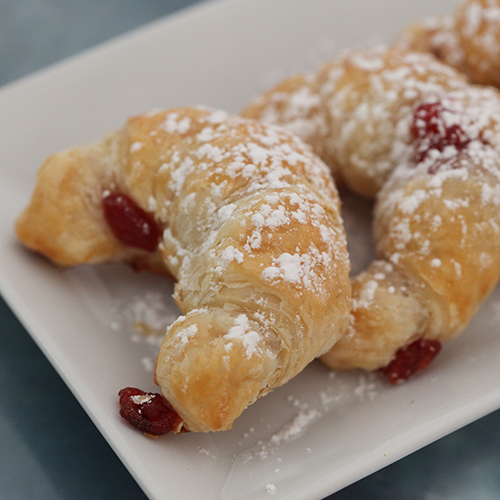 The croissants are an ideal sweet treat. 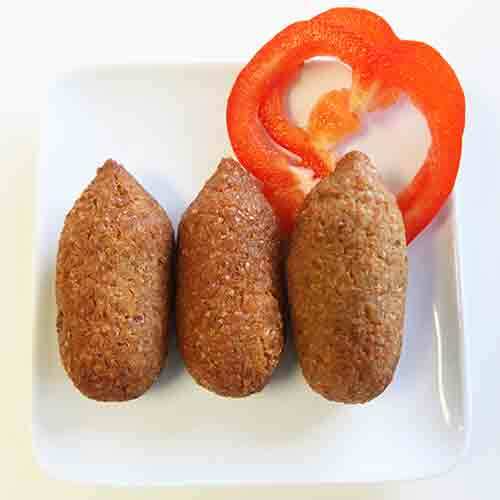 The mushroom kibbe is a torpedo-shaped baked croquette made from cracked bulgur wheat and filled with mushrooms that are diced into petite bits and mixed with seasoned onions. The sambusak palmito is our most innovative sambusak yet! 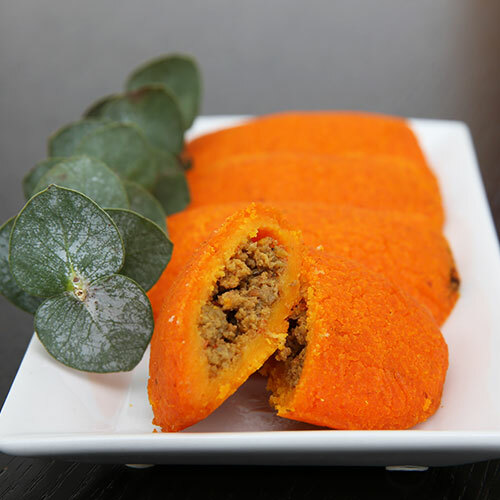 A delicious blend of hearts of palm and Parmesan cheese is stuffed into our traditional sabusak to yield the perfect pastry filled with an original flavor. Each potato is hand peeled, boiled and smashed to perfection. These succulent mashed potatoes are then generously loaded into each potato boureka. 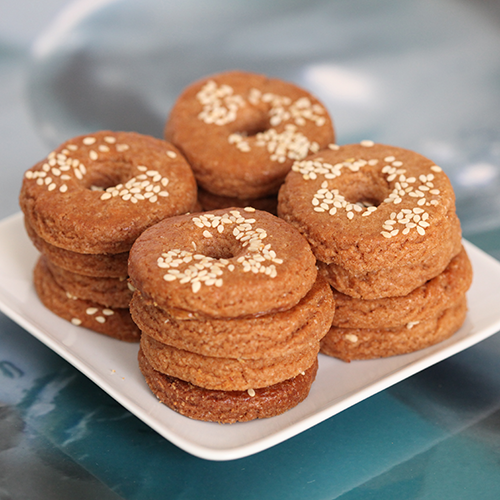 A rosquita is a ring shaped biscuit that has a hint of cinnamon and is embellished with sesame seeds. 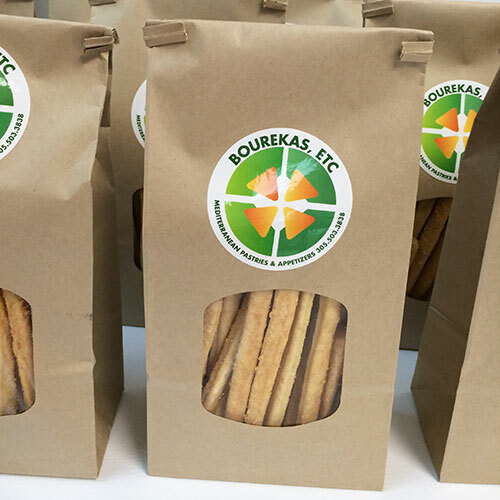 These cookies are perfect for an afternoon nibble with tea or even dipped in coffee. 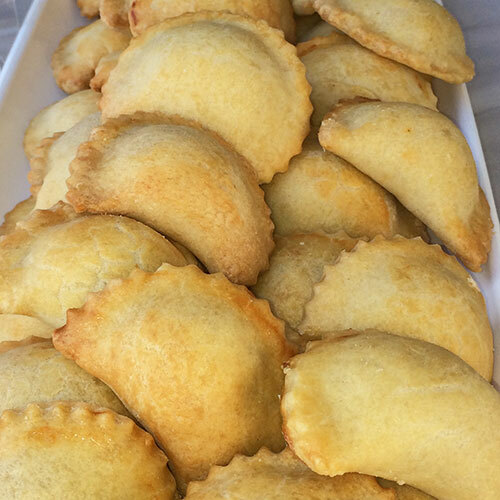 Venezuelan style baked Tuna Empanadas, made from 100% corn and filled with an appetizing fusion of seasoned tuna. The artichokes in each boureka are cut up and mixed with onions. 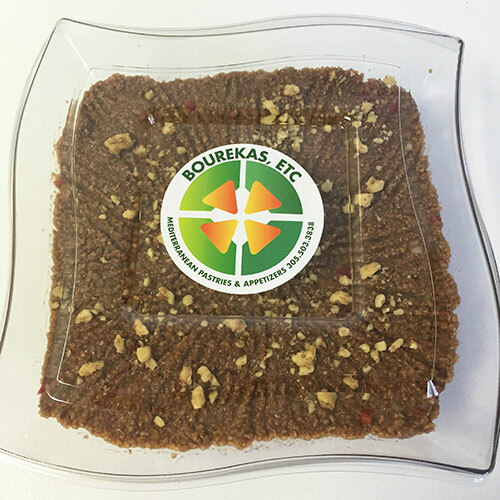 Each boureka is generously packed and then garnished with a pinch of Parmesan cheese. 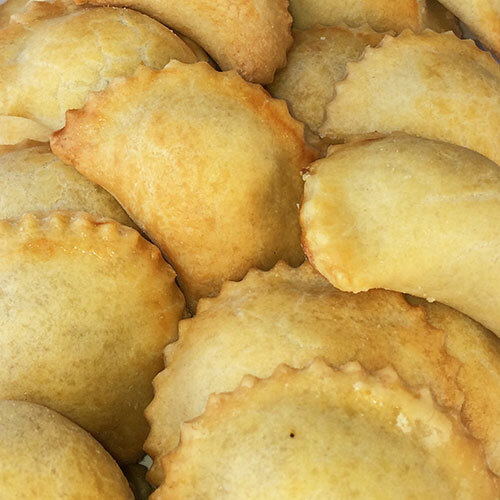 Venezuelan style baked cheese empanadas, made from 100% corn flour and full of a mouth-watering blend of cheeses. 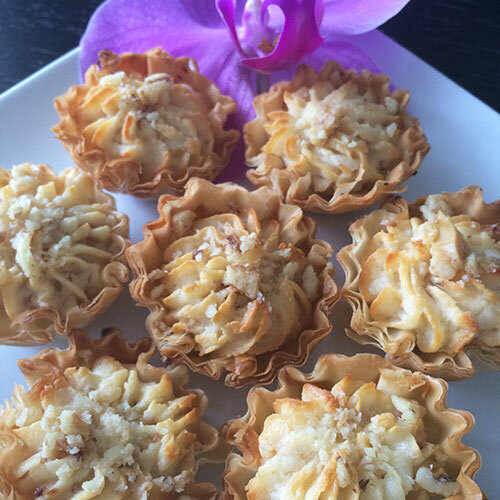 The caramelized onion and goat cheese tarts taste even better than they sound! The richness of the goat cheese blended with pure honey is then paired perfectly with caramelized onions and topped with a walnut. 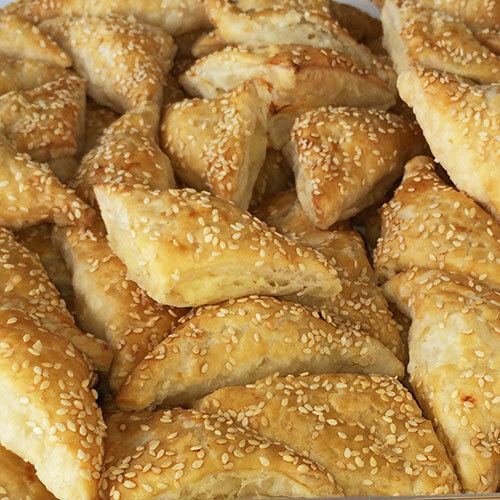 Guava & Cheese Sambusak is Bourekas, Etc most innovative sambusak yet! 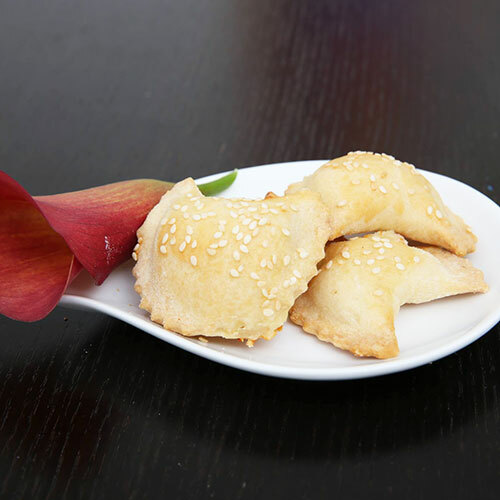 The sambusak is stuffed with bulgarian cheese and guava sauce. 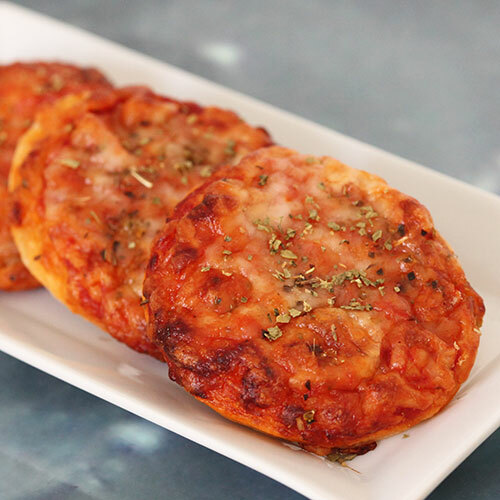 The mini pizzas are just the right size for the ideal snack or appetizer. The refreshing tomato sauce is made naturally from scratch adding a tangy zest to this famous food. 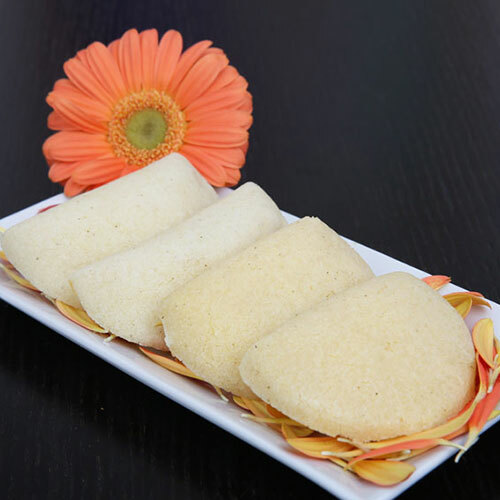 Palitos de Queso are cracker sticks that have been baked to perfection and covered with parmesan cheese. 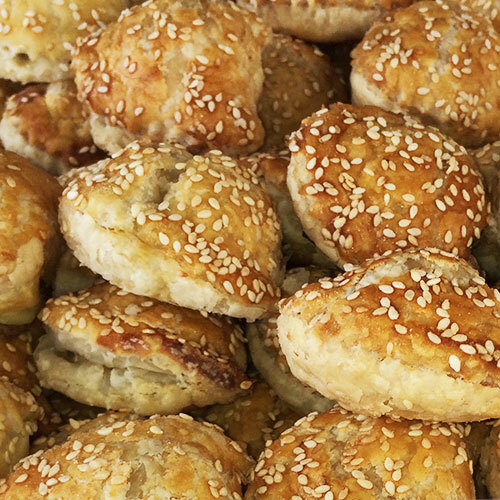 Each spinach boureka is stuffed with a concoction of cheeses and fresh spinach. 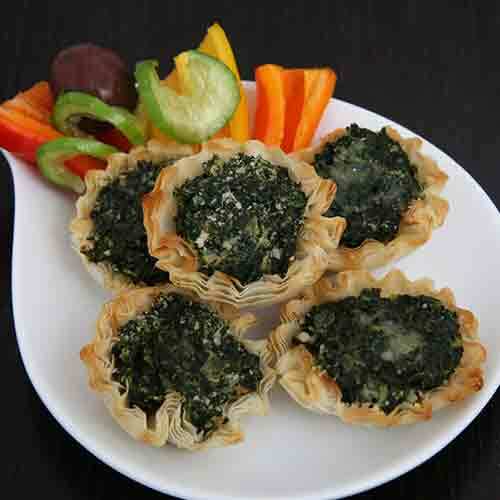 These shells are baked floret-shaped fillo, filled with fresh spinach and a mouth-watering blend of 3 melted cheeses. 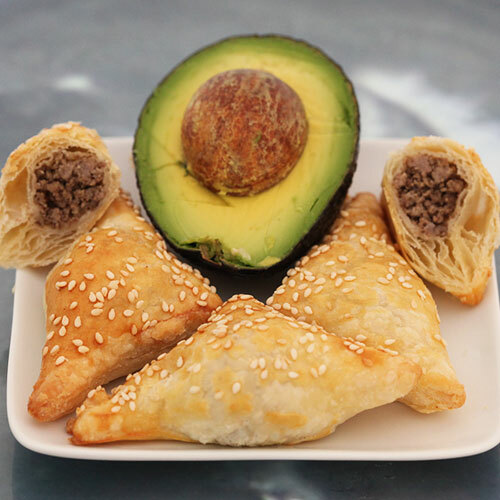 Argentinean Empanadas at Bourekas, Etc. are baked and stuffed with ground beef, green olives, raisins, egg and capers. 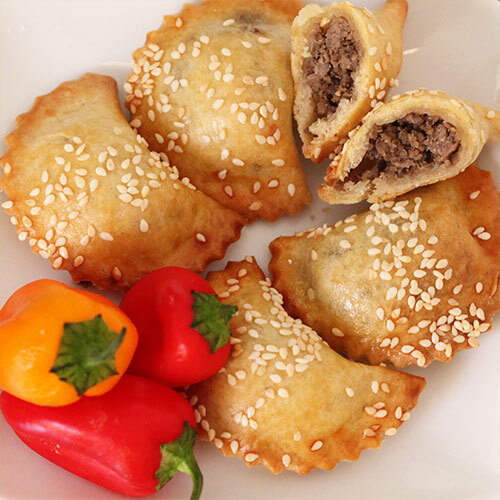 Each boureka is generously filled with seasoned ground beef stuffing and adorned with a hint of sesame seeds. These are ideal as appetizers or snacks. 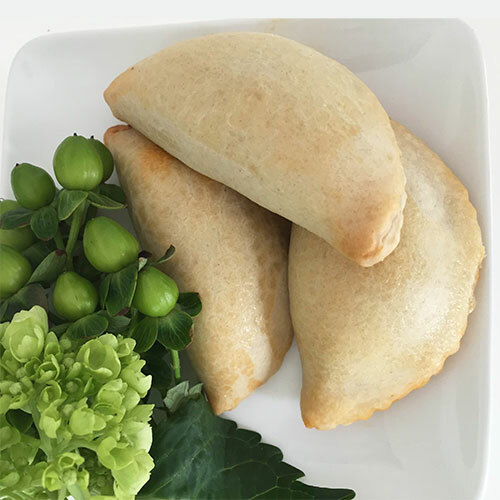 Our beef empanadas have a flavorful, authentic filling made with ground beef in our homemade sauce. 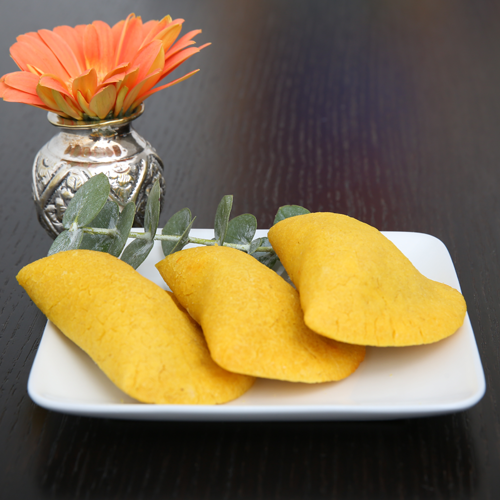 These Venezuelan style empanadas are baked and made with 100% corn flour. 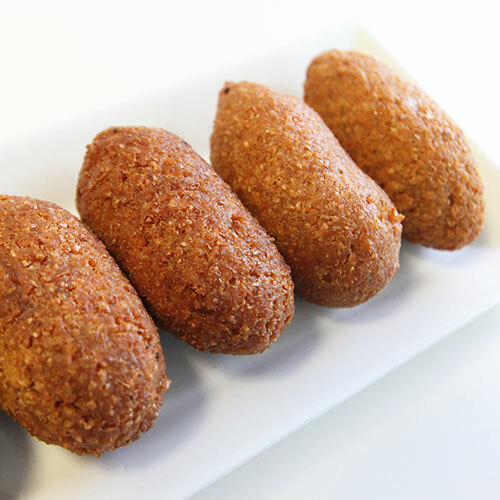 A kibbe is a torpedo-shaped baked croquette made from cracked bulgur wheat. The beef kibbes are stuffed with ground seasoned beef and baked to perfection. 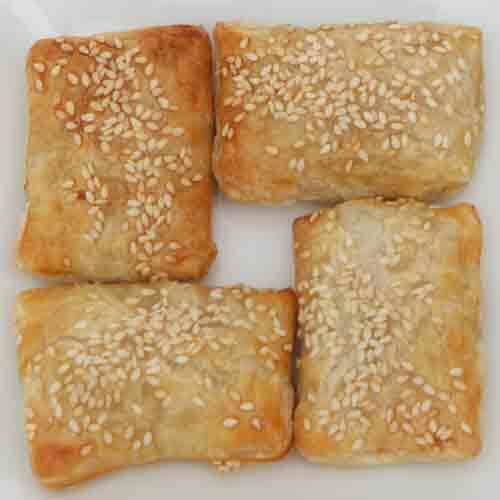 Made with the same flaky sesame-seed crusted pastry dough that is used for the cheese sambusak but is stuffed with a new recipe of seasoned ground beef. 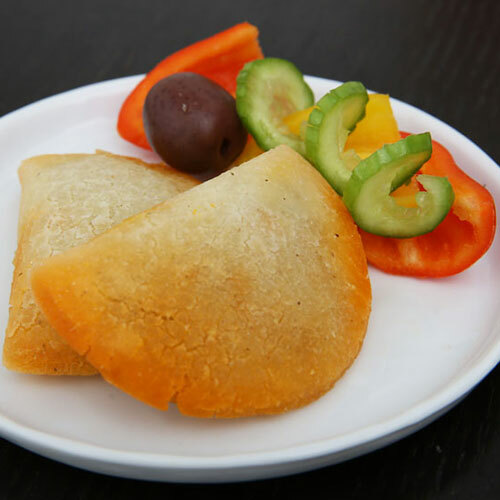 The beef sambusak is the perfect treat to be enjoyed as an appetizer or just as a snack. Our Venezuelan style baked chicken empanadas are made from 100% corn flour and are filled with strips of seasoned shredded chicken. Chicken Sambusak is our new take on the already successful sambusak! Stuffed with seasoned and shredded chicken. Hallacas at Bourekas, Etc. are stuffed with either fresh vegetables or seasoned beef. 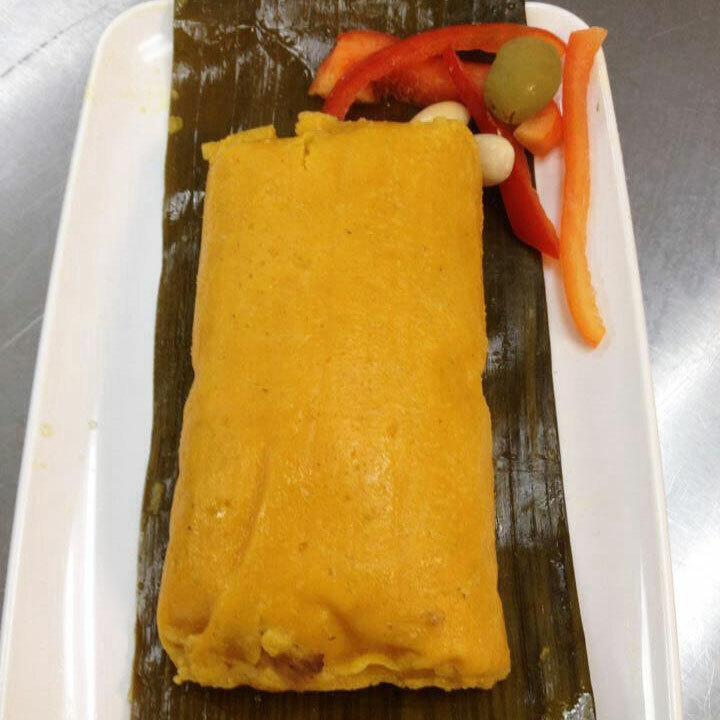 The stuffing is mixed with onions, red peppers, almonds, eggs, raisins, capers, and olives, covered in cornmeal dough and then wrapped in a banana leaf. A lahmajun is often referred to as the pizza of the Middle East. 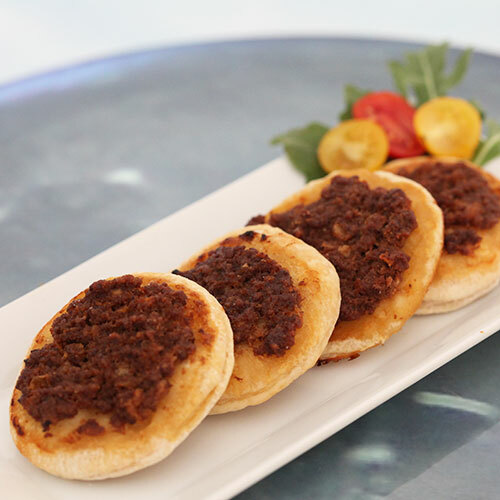 This Middle Eastern bite is a round, fine piece of dough topped with minced beef that is seasoned with tamarind paste as well as other spices. Mafrum is a ground beef stuffed potato that is baked to absolute perfection. 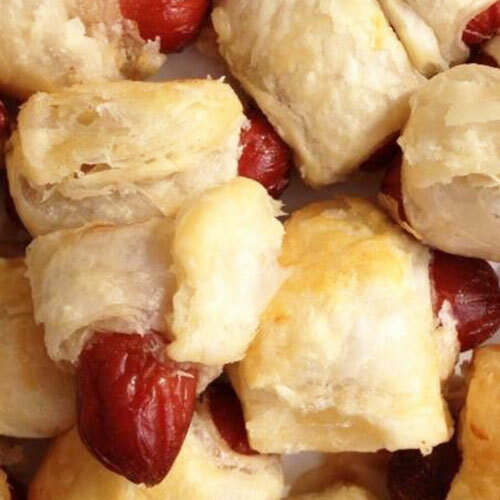 Our kosher pigs in a blanket have just the right amount of flavor. 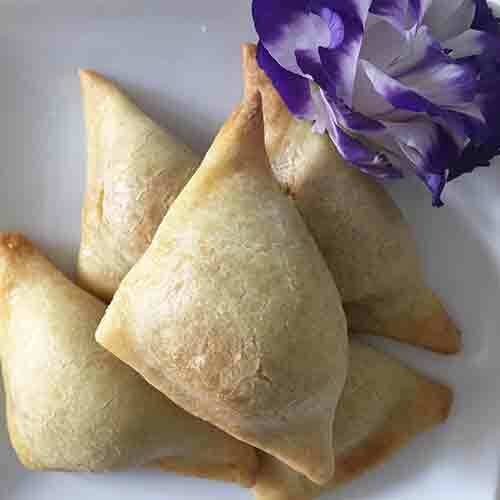 The flaky dough that rests around the meat is baked to perfection in order to form the ideal savory appetizer or snack for any event. 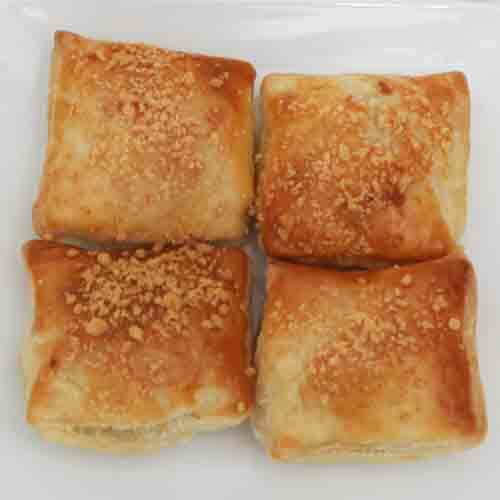 Try the Turkey Bread at Bourekas, Etc! It is a perfect blend between a pastry and a sandwich. 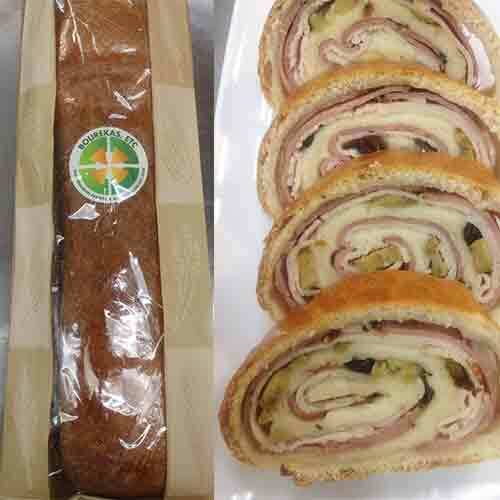 The Turkey Bread has green olives and raisins baked inside the loaf dough. 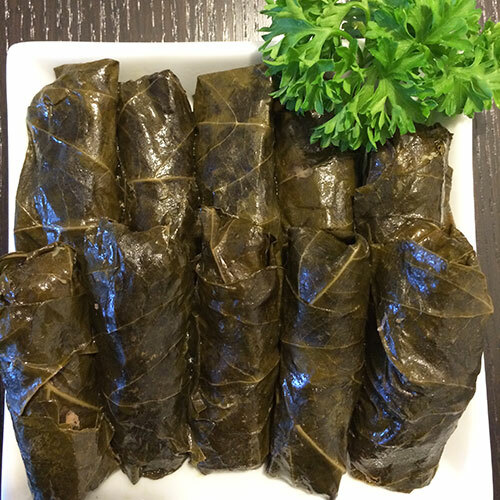 Our Stuffed Grape Leaves are made with rice, ground meat andsavory herbs, then wrapped in grape vine leaves. They are dressed in our citrus marinade that provides just the right amount of zest to the dish. and the Oven Time of each of our items.